...and we have a large selection of organic herbs available. *20% Off all Divination Books and Tools! 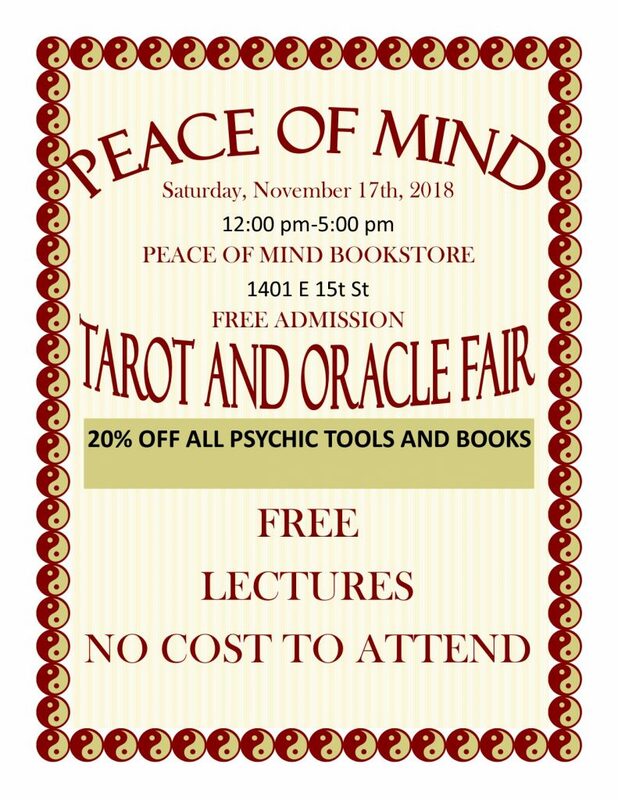 The Peace of Mind Tarot and Oracle Fair is Back! And…Peace of Mind has Tulsa’s only Auralite 2000 Aura Camera! $25 for a single aura picture or $40 for the full 13 page report! And Peace of Mind Festivals have Tulsa’s only Auralite 2000 Aura Camera! $25 for a single aura picture or $40 for the full 13 page report!